Small (11-12) - $46.99 Only 8 left! Medium (13-1) - $46.99 Large (2-3) - $40.99 Only 6 left! We know that not all girls want to be ballerinas and bakers. Some girls like horses. Cows. Chickens, dogs, and cats. Some girls like to play in the dirt, climb in the hay and even square dance. Well if you're girl's doing all that, she better have the right footwear for the job! Now, if your kid decides she wants to be a cowgirl, she'll definitely need cowgirl boots. We're talking horse-riding, mud-stomping, cowgirl boots. And there's no laws saying those boots have to be boring! So here you have it. 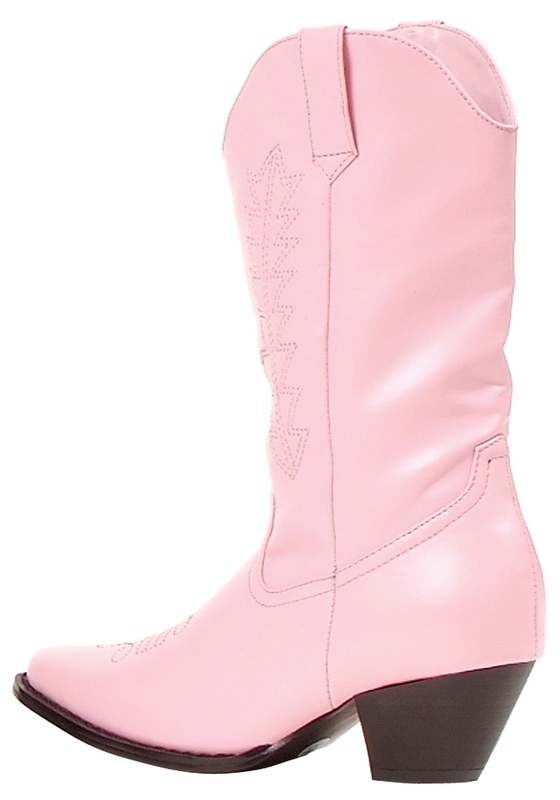 Our Pink Cowgirl Boots. They're the right style for wrangling, and made for your girl in a bright pink to suit her tastes. That's right. These boots are made for wearin'.